Born 11 April 1755, James Parkinson is most famous for his essay ‘An Essay on the Shaking Palsy’ in 1817 which first recognised Parkinson’s as a medical condition. 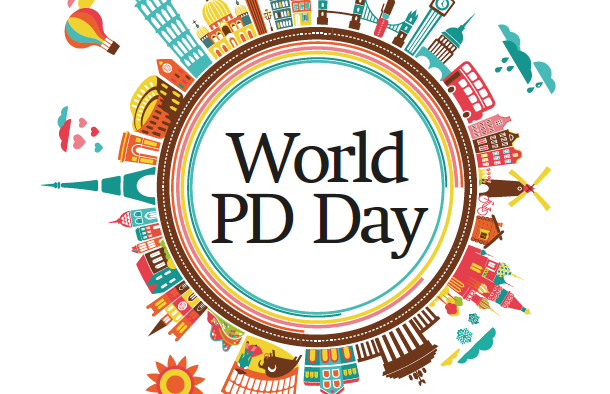 World Parkinson’s Disease Day (WPDD) was established on 11 April 1997 – the birth date of Dr James Parkinson. It began as a joint initiative between the EPDA and the World Health Organisation to raise awareness of the disease. Looking back on 19 years of history, we highlight some of the unique and historic World Day events put on by Parkinson’s organisations around the world. WPDD celebrations coincide with the tenth anniversary of the EPDA. 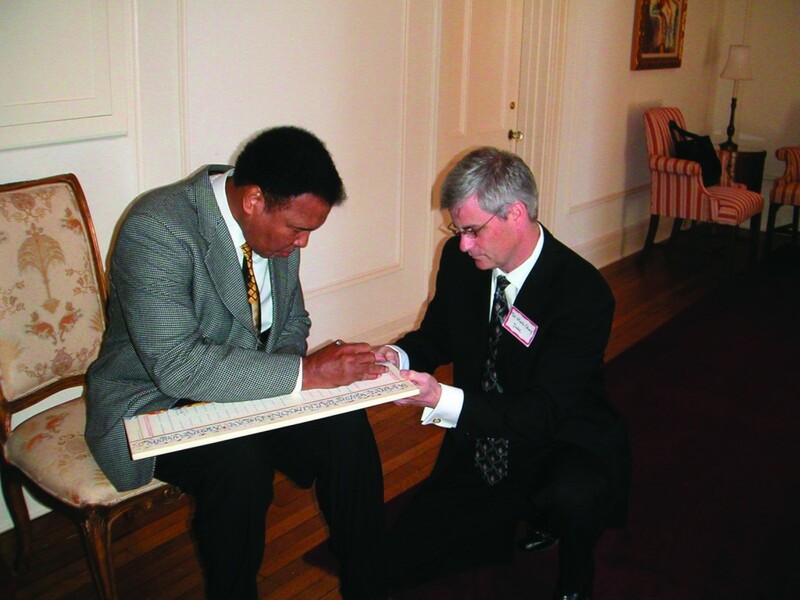 Muhammad Ali signed the Parkinson’s Disease Global Declaration. The ninth WPDD marked the 250th anniversary of James Parkinson’s birth and the Luxembourg association launched the Red Tulip as the official symbol of the disease. The launch proved very effective and gained the support of many high-profile individuals, including Queen Silvia of Sweden. 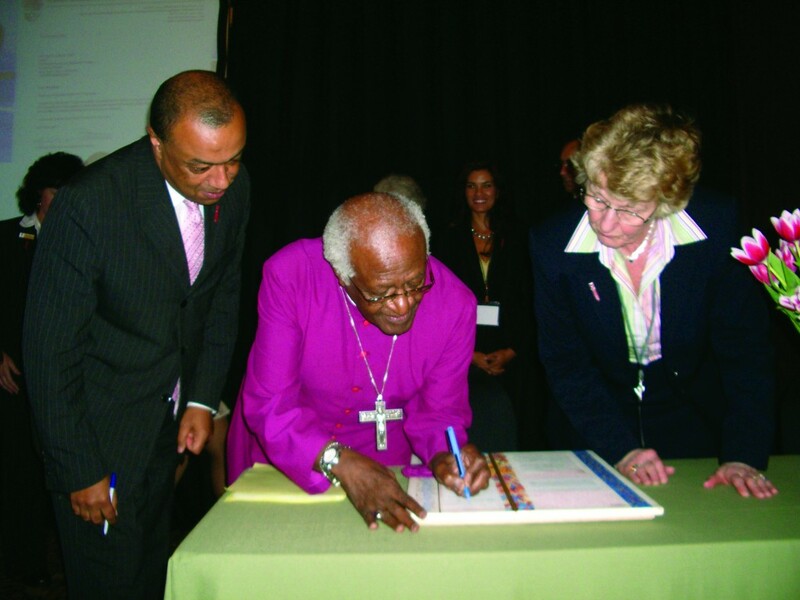 Desmond Tutu, Archbishop Emeritus and winner of the Nobel Prize for Peace, signed the Parkinson’s disease Global Declaration. The Luxembourg Parkinson’s organisation celebrated its 15th anniversary along with WPDD by releasing 150 balloons into the air. The balloons represented the ‘Hidden Face of Parkinson’s’. In a unique experiment, the Danish association filled an apartment with thousands of polystyrene balls to recreate the movement difficulties experienced by PwPs. Those without Parkinson’s could immerse themselves in a situation where they could feel what it was like to live with the disease on a daily basis. This year was extra special as the EPDA celebrated its 20th anniversary. 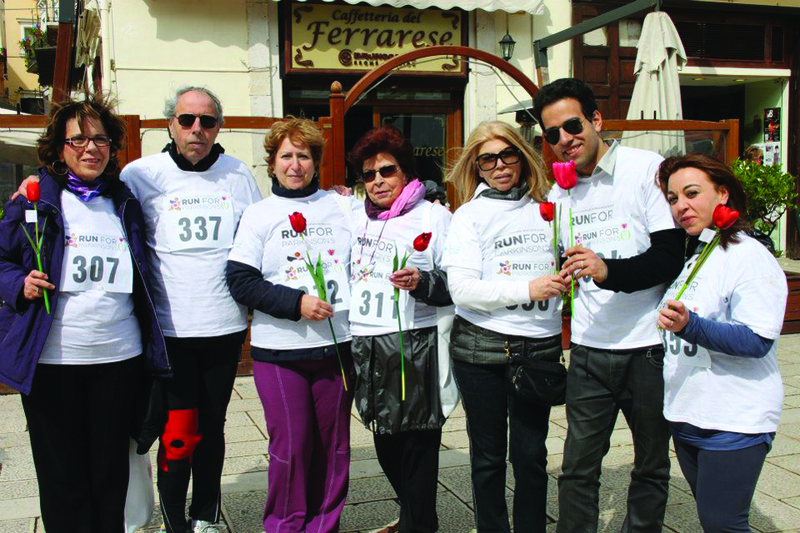 A record-breaking 36 Italian cities took part in Italy’s Run for Parkinson’s (below) where 20,000 people ran nearly 120,000 kilometres in total. Meanwhile, over in Slovenia, their initiative grabbed national attention to the point where the country’s first lady at the time, Barbara Miklic Tuerk, made an appearance in a show of support. The Luxembourg organisation also celebrated two decades of existence, while Ethiopia celebrated its first WPDD. In Slovenia they went one further in terms of high-profile visitors. The President, Borut Pahor (above), made an appearance at the WPDD meeting in Ljubljana where he signed the EPDA’s Pledge for Parkinson’s. 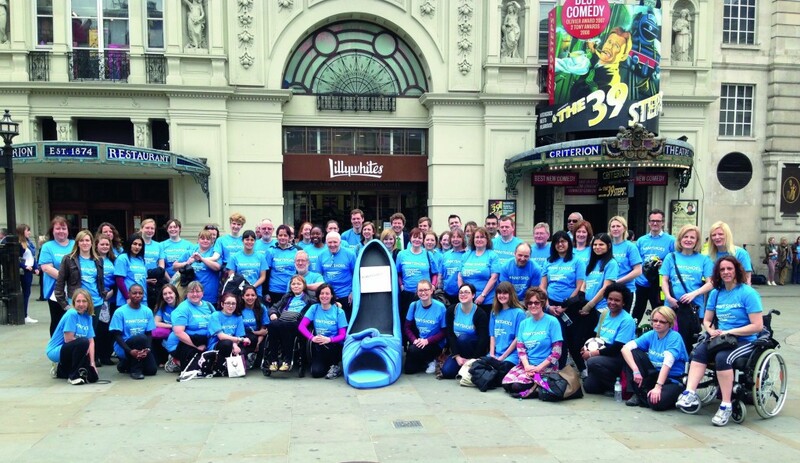 Parkinson’s UK used WPDD to support their ‘Put yourself in my shoes’ campaign, aimed at rectifying public misconceptions of the condition. It culminated in a two-metre-high shoe placed in London’s Piccadilly Circus (below). The Parkinson’s organisation in Ireland carried out its first Unity Walk. World Parkinson’s Program announced the recipients of the Dr Rana International Parkinson’s Community Service Award for the year 2014. The award recognises the outstanding contribution to the Parkinson’s cause of up to three individuals from around the world. Olie Westheimer, Executive Director of Brooklyn Parkinson Group, was among those honoured. The Hungarian organisation celebrated with a walk across the Széchenyi Chain Bridge (below) that spans the River Danube in Budapest. 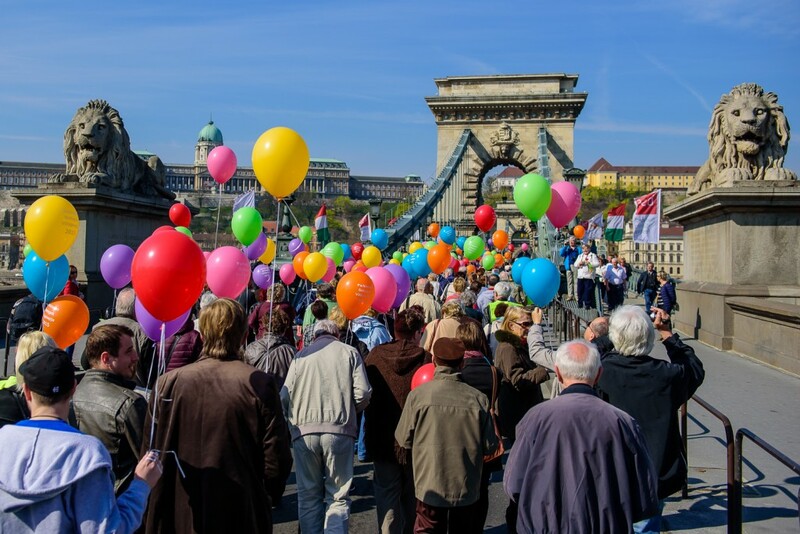 Armed with colourful balloons and tulips, around 300 people participated in the walk which received media coverage in two national television channels and 30 journals. This year, the Hungarian organisation will take a ship tour down the Danube. Personal messages of support for patients and their families will be read at the event before supporters release balloons containing the messages into the air and throw tulips into the water from the ship. What did you do to raise awareness this World Day? Tell us about your activities on Twitter!